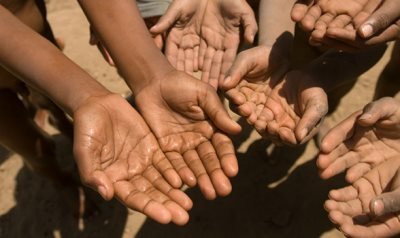 AFRICANGLOBE – Why are Africans, whether at home or in the Diaspora, poor, miserable, pitiable and terribly underdeveloped compared to other races? I told you last week that I am by no means an empirical researcher but a man who makes his claims based on observation; in short, I am an observational researcher. And from my observational research, I can say that the number one reason is that we do not read. Simple. There is no genetic factor responsible for this simple but important fact. We have not recognised the importance of reading and have therefore not sought to cultivate this skill in our community. Our adults do not read much and so their children do not grow up to become avid readers and searchers for knowledge. With the advent of modern communication technology in which our children have many technological toys to play with for 24 hours instead of reading, the situation is going to be worse with Black children. We are going to have a generation of functional illiterates. They will pass through some kind of schooling quite alright but they will be so shallow that in real terms, it is as if they have not been schooled at all. Already, some of them have lost the skill of handwriting or calligraphy to put it in a more elegant language. When they write, their writing is as indecipherable as doctor’s handwriting and the language itself is as incomprehensible as Sanskrit. Many ridicule us Africans for our seeming aversion for reading. They say that the best place to hide anything important from a Black man is in books. Some among us who understand the importance of reading books and other things readable have sought to persuade us to read. They try to reason with us why we must read. But we are not changing. Wisdom is stored in books. And since we disdain wisdom and knowledge which are the foundation for development, how can we make any significant progress? The Words of God contained in the Holy Books are not for entertainment. They are meant to instruct us in righteousness or right living, to correct us and to reproof us. In the Holy Bible, for instance, it is stated: “—I Daniel, I understood by books the number of years—” (Daniel 9:2). This is Prophet Daniel, one of the most important prophets that God used to communicate his thought to the people of Israel, making this declaration, thereby revealing that he was a voracious reader of books. Many of us are not even prophets, meaning that we do get revelation from God, yet we do not even read. Without knowledge, how can we ever hope to change our unenviable circumstances for the better? Have we not consciously chosen not to excel here on earth but to remain poor, pitiable and miserable? I told a seminar in Kaduna recently that this earth that God has created and left us humans in charge of is still a work in progress. Since God did not make us to be like robots but imbued us with creative and thinking abilities, He desires that we should partner with Him to make the earth as perfect for our own happy habitation as possible. For us to be God’s partner we need plenty of knowledge and it is our responsibility to go any length; to make any sacrifice possible to acquire any useful knowledge to be able to participate in the refinement or perfection of creation. Every religion I know of emphasises the acquisition of knowledge. If Daniel the Prophet did not read books how would he have known that the appointed time for the enslavement of the Jews in Babylon was seventy years and that the set time for that enslavement was to come to an end in the reign of Darius? Were it not for the reading habit of Daniel the people would have continued in slavery for possibly many more years than the number decreed for their captivity. The saying that readers and listeners are leaders is therefore no idle talk. Since many of those who lead us are no better than us in terms of knowledge, do we expect a miracle in our countries? A leader is supposed to be a person who takes the people from where they are to where they ought to be. We remain where we are perpetually because we do not have people who are knowledgeable enough to take us to where we ought rightly to be. It is practically impossible for two ignorant sets of men to lead themselves out of darkness to light. Both of them will continue to fall in a ditch. With the kind of ignorant leaders we have been having leading the kind of ignorant people that we are is it any surprise that we have been falling into one ditch after another and roaming around in those muddy ditches all these years? Our leaders do not read that is why they do not have answers to simple challenges of life. If you do not read, you may not know the date of your deliverance from slavery. Many of us Africans are poor and are perpetually enslaved and are yet to see our deliverance because we do not read. Today in the world, we have great financial educators such as the Japanese America Robert Kiyosaki and Donald Trump whose books have provided financial intelligence that has delivered millions of people from financial slavery or the terrible disease called poverty. People of all races and faith who have applied the wisdom gleaned from their books have been emancipated. If I have my way, I will recommend that the books of Kiyosaki and Trump and other financial educators be made compulsory reading for all Africans where ever they live. I regard some financial educators like these two as prophets anointed by God and sent down to deliver his people from poverty. The trouble with some of us is that these days, prophets come dressed, sometimes, in three-piece suits and pin striped ties that some of us have difficulty recognising them as Messengers sent by God to help us in some areas of our existence on earth.